The Schultz Elk and Cattle Ranch east of Mancos was recently preserved under a conservation easement with the Montezuma Land Conservancy. 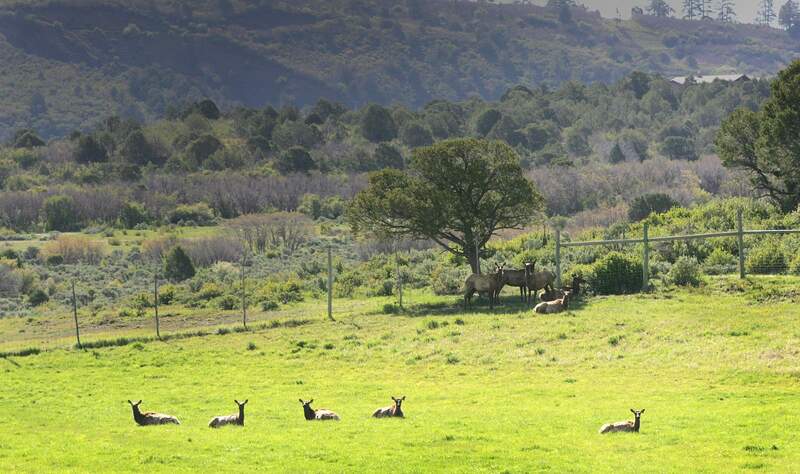 The Colorado adage “I’d rather see a cow than a condo” applies to a new conservation easement in the Mancos Valley, but in this case, it relates to elk, too. The 225-acre Schultz Elk and Cattle Ranch anchors the entryway into Mancos, offering drivers along U.S. Highway 160 views of lush hayfields against a backdrop of Menefee Mountain, a wilderness study area with the Bureau of Land Management. To preserve the open space and agricultural use for perpetuity, the Schultz family in June put the property into a conservation easement held by the Montezuma Land Conservancy, based in Cortez. “The easement protects a really diverse agricultural property and the viewshed along the San Juan Skyway,” said Marianne Mate, director of philanthropy for the land conservancy. The property is used as a certified elk-raising operation, and the impressive bulls have become a roadside attraction for passers-by. According to the Schultzes, the elk are bred as seed stock for other elk ranches and to produce quality bulls for large hunting ranches. The animals are regularly tested for health, and the operation is regulated by the Colorado Parks and Wildlife and Department of Agriculture. Wildlife rely on the Shultz ranch as they migrate from the San Juan Mountains to the lower elevation BLM lands to the south. Its southern end backs into public lands, and a small pond provides year-round water for elk, deer, mountain lions, turkeys, bears and other species. The easement is the 29th in the Mancos Valley held by Montezuma Land Conservancy. The Schultz were awarded a $50,000 grant from Great Outdoors Colorado as part of a new program that aims to assist landowners in covering transaction costs of completing a conservation easement through state lottery funds. A conservation easement is a voluntary legal agreement between a landowner and a conservation organization that conserves a piece of property, removing the possibility of development. Transaction costs associated with placing an easement on a property often range from $20,000 to $50,000 or more. In the latest grant round, the Great Outdoors Colorado Board awarded $274,068 in transaction-cost grants for conservation easements. The projects will protect 1,625 acres of land in six counties and about 3 miles of habitat along creeks, streams and rivers. Since 1998, Montezuma Land Conservancy has partnered with local landowners to complete 87 conservation easements that protect 44,258 acres in Montezuma, Dolores and San Miguel counties. University analyzed benefitsAccording to a recent study released by Colorado State University, financial incentive programs for conservation easements help the state economy. The analysis found that each dollar invested by the state for easements produced benefits of $4 to $12 for Coloradans, according to a CSU news release. Public benefits include clean water and air, scenic views and access to wildlife and produce from local farms and ranches. The state programs have invested nearly $1.1 billion on conservation easements since 1995, according to the analysis. 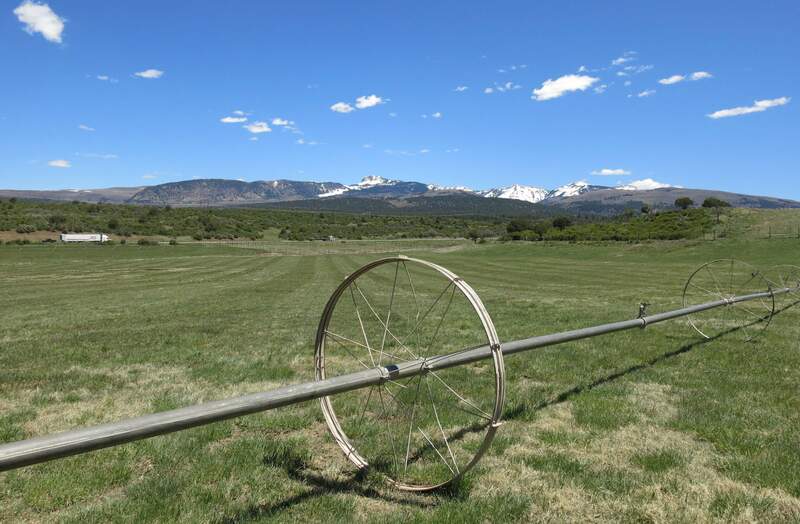 CSU researchers – who examined data on 2.1 million acres of Colorado lands with conservation easements – said the related benefits for state residents are as high as $13.7 billion. “There is a substantial return to the Colorado taxpayer on investments in programs designed to conserve the features of the state landscape that are so dear to all of us,” said Andrew Seidl, one of the study’s authors and a CSU professor in the Department of Agricultural and Resource Economics. Study co-author Michael Menefee, an environmental review coordinator with CSU’s Colorado Natural Heritage Program, said the investments are key for protecting agricultural and ecological priorities on private lands. “An active partnership between private landowners and public policy can achieve what neither acting alone can accomplish,” he said. The full report of the study is available online. For more information about conservation easements, call the Montezuma Land Conservancy at (970) 565-1664.